PEAR State directories can be used by prospective adoptive parents and adoptive parents looking to find information on health, education, bureaucratic/paperchasing needs and for support for themselves or their children. Parents for Ethical Adoption Reform (PEAR) does not officially endorse any listing in this directory. The contents are provided for informational purposes only as a community service. PEAR has no means of certifying the competence or quality of practice of any practitioner. 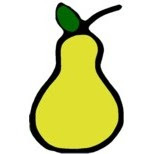 PEAR makes no representations, warranties, guarantees or promises on behalf of or for those listed, and does not assume liability or responsibility for any service or product provided. The Health section contains listings of licensed practitioners, early intervention contact information, and residential treatment centers. The Education section contains tutoring, remediation, specialized schools & interventions by non-licensed practitioners. The Bureaucracy section contains information about apostilles, licensed agencies, social security cards and more. The Support section contains state-based support groups, web-support, and organizations and respite care locations. (AFP) FREETOWN — Sierra Leone's Social Welfare Minister Soccoh Kabia announced a probe Friday into "the unknown whereabouts" of 20 children he said were spirited to the United States without the knowledge of their parents. They were allegedly taken for adoption from couples who had handed them to a local organisation called Help a Needy Child International (HANCI), for schooling and safety at the height of the country's civil war. "The investigation will unravel whether the adoption was done in a transparent manner and we have not put a limitation as to what the commission should do with regards to time," he said. "The commission will establish whether parents had a full understanding and knowledge of the adoption process and whether they willingly gave up their children for adoption. "In addition, whether the whole process was transparent and fully explained to the parents by HANCI." Kabia said High Court judge Adeliza Showers would head the investigating commission, assisted by retired civil servant Mustapha Rogers and an educationist, Albert Kanu. Kabia said that in 1996 HANCI established so-called child survival centres in the northern towns of Makeni, Kamakwie and Mile 91 with the purpose of providing educational services for children from kindergarten until tertiary level. "The parents gave up their children for the purpose and after the war the parents checked for their children and found that they were gone," he said. "When HANCI officials were queried they said the parents had supported the organisation to give up their children for adoption. The parents rejected the claim and demanded the return of the children." The minister said that two officials of HANCI were taken to court 'but were acquitted but not discharged meaning that the case can be reopened at some future date. "Keeping the Promise" examines the range of service needs for adoptive families. It describes the challenges faced by these families, examines the research on adoption outcomes, and discusses the risk and protective factors for children and families that predict more positive, as well as more negative, adjustments. To date, there has not been a synthesis of knowledge in the field of post-adoption services that surveys the many clinical and family-support approaches being used and derives insights from research and program evaluations. This report by the Evan B. Donaldson Adoption Institute seeks to provide such a synthesis and to identify key directions for the future development of post-adoption services. Over the past two years, PEAR has received numerous comments and complaints concerning adoptions from Ethiopia. Investigations by governments and the media increased substantially towards the end of 2009. As PEAR began to see a pattern similar to that of Vietnam and Guatemala before their closures to US adoptions, we decided to conduct a survey of Ethiopia adoptive parents and prospective adoptive parents from March 16, 2010 to April 16, 2010. The purpose of the survey was to identify possible areas of unethical practice and procedure in Ethiopian adoptions, and report them to adoption stakeholders and appropriate authorities so they can be corrected. This survey was based upon PEAR’s Mission and Prospective Adoptive Parent Bill of Rights, which can be found on our homepage at www.pear-now.org . The results will be discussed in the same order as the survey. Survey-taker’s suggestions that were given in comment areas will be listed at the end. There were 31 different respondents (27.7 percent) who completed their adoptions and who experienced multiple, serious issues that are completely unacceptable. will, if not corrected, lead to the shutdown of the Ethiopia. If the PEAR Prospective Adoptive Parent Bill of Rights were adhered to by adoption service providers, we feel that none of those serious issues would have occurred. In light of the recent estimation from http://www.mercurynews.com/breaking-news/ci_16319030?nclick_check=1 that 23% of all intercountry adoptions to the US in fiscal 2010 will be from Ethiopia, we hope that the adoptive community reads this report thoroughly and realizes what is currently taking place in the adoption process in Ethiopia. The 19-page pdf report is accessible on our website at http://www.pear-reform.org/uploads/6/6/6/2/6662787/pear-ethiopia-survey-results.pdf. We encourage all parties to become involved and join PEAR to reform these corrupt activities. The list of registered agencies was published in 2008. It is the only publicly accessible list of registered agencies provided by the Ethiopian government to adopting families and the general public http://www.ethiopianembassy.org/OtherResources/OtherResource.php?Page=AdoptionEthiopianChild.htm PEAR requested current information from the Ethiopian Embassy in Washington and MOWA on two occasions each (in 2009 and again in 2010) and we received no reply. We understand that Holt and WACAP report they are registered with the Ethiopian authorities and have documents supporting this status, but we have no way of independently verifying their current status without the cooperation of the Ethiopian government. The Central Adoption Resource Agency (CARA) has been directed by the Bombay High Court to consider 18 cases of international adoption recommended by Pune-based adoption agency Preet Mandir. A division bench of chief justice Mohit Shah and justice RP Sondur-Baldota, on Friday, allowed CARA, an autonomous body under the ministry of women & child development, to process the adoption applications of 18 children that were in the pipeline. The court order came following an application filed by CARA seeking permission to process 18 adoption cases that had been halted due to revocation of Preet Mandir’s licence. A South African national of Indian origin, who had filed an application for adoption with Preet Mandir, had filed another plea seeking that the application be processed. In February, CARA had suspended Preet Mandir’s licence on May 20, the licence was revoked following the Central Bureau of Investigation registering a case against the adoption house for alleged irregularities in sending children on inter-country adoptions. 1.What is the Pilot Adoption Program and why was it initiated? 2.Why did the U.S. Central Authority withdraw its interest in participation in the pilot program? 3.Why is the U.S. pulling out before the CNA announces which countries have been selected to participate in the pilot program? 4.Why haven’t other countries pulled out of consideration for participation in the pilot program? 5.How will this withdrawal affect active “grandfathered” cases that are already in the pipeline? 6.When did Guatemala halt new intercountry adoptions? 7.What does it mean to be a “grandfathered” case? 8.When will new adoptions from Guatemala to the United States begin? Q: What is the Pilot Adoption Program and why was it initiated? A: In November 2009, the Guatemalan Central Authority, the National Adoption Council or Consejo Nacional de Adopciones (CNA), announced plans for a pilot adoption program. Under the pilot program, the CNA would work with four countries to process about 200 adoptions of mainly special needs and older children, under an adoption process under development that would meet the requirements of the Hague Intercountry Adoption Convention. The pilot program represents the CNA’s first attempt to start new intercountry adoptions from Guatemala. The U.S. Central Authority and nine other countries submitted letters of interest in the program. Q: Why did the U.S. Central Authority withdraw its interest in participation in the pilot program? A: The U.S. Central Authority, under the Hague Intercountry Adoption, Convention withdrew its letter of interest in the pilot program because of concerns that adoptions under the program would not meet the requirements of the Hague Convention. Specifically, the United States is concerned that the CNA has not yet addressed and resolved vulnerabilities that led to widespread corruption and ultimately to the 2007 moratorium on intercountry adoptions. Specifically, the United States believes that more safeguards for children should be in place before the CNA could start processing new intercountry adoptions. In addition, the Guatemalan Government has not yet provided specific details for how adoption cases under the pilot program would be processed under Guatemala’s new adoption law. Q: Why is the U.S. pulling out before the CNA announces which countries have been selected to participate in the pilot program? A: When the U.S. Central Authority submitted its letter of interest in joining the pilot program, it would not commit to participating until more information regarding the actual procedures that would be put into place became available in order to enable us to assess the program’s compliance with the Hague Intercountry Adoption Convention. However, we are concerned that after almost one year since the announcement of the pilot program that Guatemala has not yet provided specific details regarding how pilot cases will be processed. Therefore, we have no confidence that the safeguards that would prevent fraud and other problems inherent in the previous notarial adoption process from occurring are firmly in place and that the vulnerabilities of the past have been adequately addressed at this point. We also note that UNICEF, which had been working closely with the CNA towards development of a new international adoption process in Guatemala, recently announced that it is withdrawing its involvement in the Guatemalan adoption process, citing a number of concerns. Q: Why haven’t other countries pulled out of consideration for participation in the pilot program? A: The United States has focused much scrutiny on allegations of corruption in Guatemala, and places the utmost importance on its responsibility to ensure to the greatest extent possible that any placement of children with U.S. families is in accordance with international standards. Unfortunately, under the current assessment of the situation in Guatemala, the United States believes that it cannot be assured that the necessary safeguards against abuse exist. It is also our hope that, in withdrawing U.S. interest in participating in the pilot program, we act as a catalyst that will cause both the Government of Guatemala and the governments of other countries considering participation to reconsider their involvement and, instead, focus on the additional measures needed for Guatemala to come into compliance with the Hague Convention. Q: How will this withdrawal affect active “grandfathered” cases that are already in the pipeline? A: The United States is only withdrawing its interest in participating in the pilot program at this time. This means that the United States does not wish to begin NEW adoption cases. Withdrawal of U.S. interest in participating in the pilot program should not impact the processing of active “grandfathered” adoptions in progress. In fact, we hope that our withdrawal will result in a shift of resources by the Government of Guatemala towards resolving these pending cases. Q: When did Guatemala halt new intercountry adoptions? A: In 2007, due to concerns about widespread corruption and fraud in adoptions, Guatemala placed a moratorium on new intercountry adoptions until a Hague- compliant adoption process could be developed and implemented. A December 2007 law created a new Guatemalan Central Authority, the CNA, for processing most intercountry adoptions. Q: What does it mean to be a “grandfathered” case? A: Guatemala’s new adoption law to implement fully its obligations under the Hague Convention on Intercountry Adoption was approved on December 11, 2007 and went in effect on December 31, 2007. A new Guatemalan Government agency to serve as the “Central Authority” for adoptions, the CNA, was created at that time. Notarial adoption cases that were in process before December 31, 2007 would be permitted to continue but only if the cases were registered with the CNA by spring 2008. Cases that were registered with the CNA would be considered “grandfathered” and allowed to continue their notarial adoption process under Guatemala’s previous law. For relinquishment adoption cases to continue, the CNA and PGN were also required to interview the birth mother by August 2008. However, it is important to note that any irregularities found in the notarial process of a particular case could negate the “grandfathered” status and prevent the case from being able to proceed. Q: When will new adoptions from Guatemala to the United States begin? A: The United States hopes that its withdrawal of interest in participating in the pilot program will encourage Guatemala to dedicate its resources to resolving existing cases and putting in place adequate safeguards to prevent the same type of corruption and fraud that occurred in the past. While we cannot predict when adoptions from Guatemala to the United States will resume, we will continue to work closely with the CNA and the Guatemalan Government to assist them with resolving the pending issues. On October 5, 2010, the United States withdrew its letter of interest in participating in a pilot program to resume processing of intercountry adoption placements for a limited number of older children, groups of siblings, and children with special needs. The letter of interest had been previously submitted to the Guatemalan Central Authority for Adoptions, Consejo Nacional de Adopciones (CNA), in response to its November 2009 announcement of this limited pilot program. The U.S. decision to withdraw its letter of interest is based on concerns that adoptions under the pilot program would not meet the requirements of the Hague Intercountry Adoption Convention. Specifically, the United States believes that more safeguards for children should be in place before the CNA could start processing new intercountry adoptions. In addition, the Guatemalan Government has not yet provided specific details for how adoption cases under the pilot program would be processed under Guatemala’s new adoption law. The United States remains open to resumption of intercountry adoption placements from Guatemala, but will consider such a resumption only when it is confident that a Hague-compliant system is in place, including strong safeguards against abuses and resolution of the issues that led to corrupt and fraudulent practices prior to the 2007 halt in new adoptions. It is our hope that the U.S. withdrawal from consideration for the pilot adoption program will allow CNA to focus its attention on resolving all pending transition cases. You are invited to join senior administration officials and leading advocates for a webcast to discuss the importance of the Adoption Tax Credit, and the key improvements made to the Credit under the Affordable Care Act. This event will feature two families who are benefitting from the Adoption Tax Credit and who will share their stories about what adoption has meant for their family. They will be joined by leading advocates on the Credit: Bill Blacquiere, Bethany Christian Services; Barbara Collura, RESOLVE; and Chuck Johnson, National Council for Adoption. White House and HHS officials will also join this roundtable. Please forward this invitation widely. You do not need to RSVP for this webcast. Originally published by EurasiaNet.org, http://www.eurasianet.org. There’s a tiny grave near an orphanage on the outskirts of Bishkek. It holds the body of an undersized 2-year-old girl who died in August from complications of a disease that is dangerous, yet often manageable in the United States. The little girl, who had been matched for adoption with a Florida doctor, is a casualty of a moratorium on international adoptions imposed long before Kyrgyzstan became engulfed in turmoil this spring. The dead girl’s adoption, along with those of 64 other Kyrgyz orphans by American families, had been stalled for roughly two years  . After protracted talks, officials on both sides are optimistic that the adoption logjam will finally be broken -- but they all concede that the issue will ultimately need to be resolved by the Kyrgyz legislators who are elected in the nation’s October 10 parliamentary elections . “The parliament will be back and (proponents of completing these adoptions) have quite a serious lobby there,” Kyrgyzstan’s provisional president, Roza Otunbayeva, told EurasiaNet.org on September 23. Otunbayeva was in New York for the 65th United Nations General Assembly. Kyrgyz officials are currently reviewing a memorandum of understanding (MOU) prepared by the US State Department that, if signed by both governments, would expedite the adoptions of the 64 orphans. Ambassador Susan Jacobs, The State Department’s Special Advisor for International Children’s Issues, presented the MOU in mid-September to different Kyrgyz ministries during a special trip to Bishkek. Jacobs said that once both governments agree on the document’s language, the MOU can be submitted to the new sitting parliament in Kyrgyzstan for approval. "We're hoping that we can get this done before the end of the year," Jacobs said. She acknowledged that the disabilities and developmental delays of many of the children added an element of urgency to the process. “While these children were offered for domestic adoption, they were not adopted. So they were institutionalized. These are tough cases; these children need to be in a loving home." Time means the most to the prospective adoptees in need of medical help and therapy. The younger they are, the more effective surgeries and therapy can be. Carrie and Bob Delille of Virginia are trying to bring home one of the oldest children in the group of 64, an 11-year-old boy with a cleft palate and possibly a bone condition. The palate issue means the boy basically has no roof to his mouth, makes eating difficult. According to local news media, the MOU has Kyrgyz support. Feruza Dzhamasheva, chairwoman of the Supreme Court, met with Jacobs on her visit and “expressed readiness to co-operate in achieving an aim, because Kyrgyzstan is also interested in helping those children to join their families,” Kyrgyz news outlet 24.kg reported. Drafting the MOU was a Kyrgyz recommendation. A delegation visiting the United States in late August suggested that the United States create an agreement as a way to restart talks on the issue that had languished. The Kyrgyz officials requested two specific provisions be included: that the children retain their birth citizenship after adoption and live as dual US and Kyrgyz citizens; and that the government receive a yearly report on each child until his or her 18th birthday. Keeping tabs on local children adopted by foreigners is a sensitive issue in the former Soviet Union. Reports of Russian orphans who’ve died since being adopted internationally have stoked fear about the process in the region, as did the incident last April when a Tennessee woman relinquished her adopted 7-year-old son by placing him alone on a plane back to Moscow. The Kyrgyz government is currently rewriting its laws on international adoption to address these concerns and to try to reduce corruption in the system. The MOU would only resolve the 64 pending cases. A moratorium would remain in place on new foreign adoptions from Kyrgyzstan until new legislation is enacted. After two years of starts and stops, dozens of unfulfilled promises from governments and adoption agencies, and political upheaval in Bishkek  that nearly unraveled all their efforts, some of the 64 families are guarded when discussing the MOU. As time ticks on, the story of the two-year-old girl’s sad fate sits in the back of many waiting parents’ minds. The girl’s adoptive mother, a Florida pediatrician named Suzanne Bilyeu, was the first to diagnose the child’s advanced hydrocephalus from photos she received in March of 2009, seven months after she was originally scheduled to bring the girl home. This led to two in-country surgeries, the second of which was this summer. The girl died a few weeks after that last procedure, on August 9.